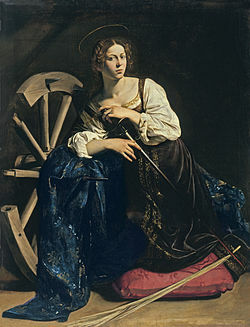 CATHERINE was a noble virgin of Alexandria, Egypt. Before her Baptism, it is said, she saw in vision the Blessed Virgin ask her Son to receive her among His servants, but the Divine Infant turned away. After Baptism, Catherine saw the same vision, when Jesus Christ received her with great affection, and espoused her before the court of heaven. When the impious tyrant Maximinus II came to Alexandria, fascinated by the wisdom, beauty and wealth of the Saint, he in vain urged his suit. At last in his rage and disappointment he ordered her to be stripped and scourged. She fled to the Arabian mountains, where the soldiers overtook her, and after many torments put her to death. Her body was laid on Mount Sinai, and a beautiful legend relates that Catherine having prayed that no man might see or touch her body after death, angels bore it to the grave. 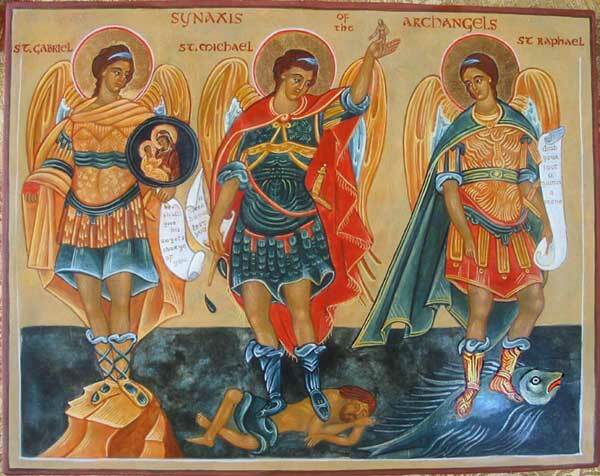 Reflection.—The constancy displayed by the Saints in their glorious martyrdom cannot be isolated from their previous lives, but is their natural sequence. If we wish to emulate their perseverance, let us first imitate their fidelity to grace.